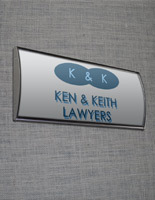 These Door Signs Attach to the Office Wall or Ceiling! 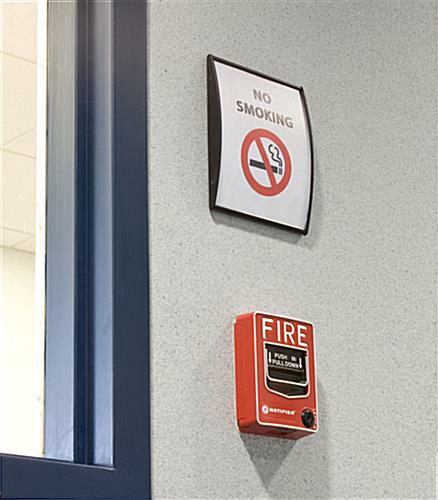 These Name Plates Are Room Signage for Safety Message or Plaques! These Door Signs Can Be Purchased with Confidence! 2.5" x 8.5" 3" x 4" 3" x 5" 3" x 8" 3" x 11.5" 3" x 15" 4" x 5.5" 4.5" x 24" 5.5" x 6" 5.5" x 9" 5.5" x 15"
6" x 8.5" 7.5" x 10" 7.5" x 11.75" 8.5" x 11" 8.5" x 16.5" 11.5" x 17"
Two-sided tape is provided for quick installation. Construction is aluminum that will last for years. No-glare lens makes the sign readable all the time. 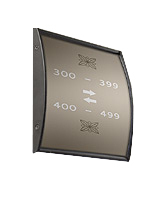 These door signs with black anodized aluminum construction are durable models to endure frequent use. The directory displays have the neutral black coloring to better fit in with the rest of the decor. These door signs do not include any images or graphics. However, users are able to print their own and quickly install the messages. These door signs come with a suction cup for fast signage alteration. 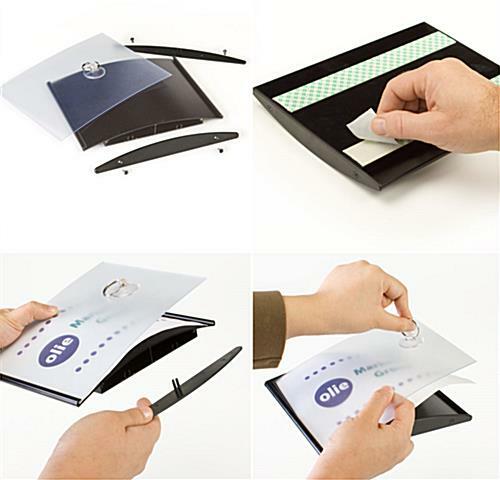 Administrators can easily remove the overlay with a suction cup and place the new directions within the cases. 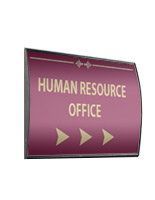 These door signs include the acrylic lens to protect against dust and stop glare from interfering with viewing. 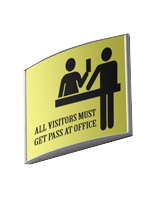 The name holders can be used in any public or private facility where guests might need direction. 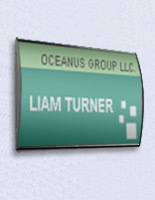 These door signs, similar to graphic displays are economical options for presenting name cards or other professional information. 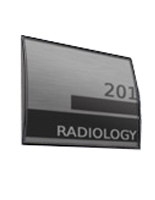 The name holders may be used for way finding or simply demarcating areas. 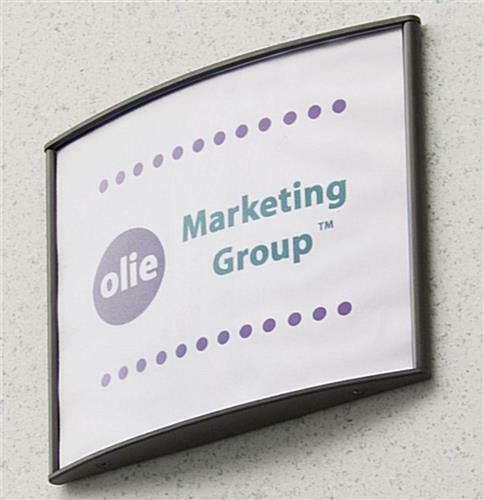 These door signs allow users to make their own custom messages with a standard printer to cut down on printing costs. 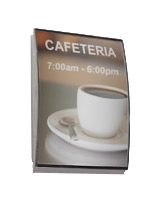 The wall frames come with double-sided VHB tape on the rear side, which lets users apply the displays to almost any flat surface. 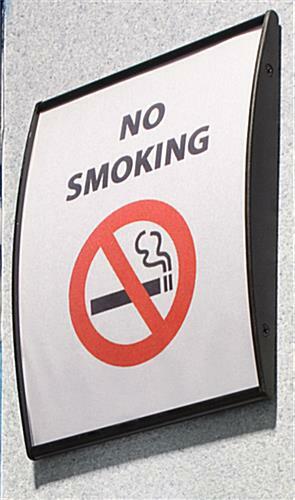 These door sign, commonly called name holders, may also advice visitors about regulations such as warning signage with "No Smoking" or "Emergency Exit" information. 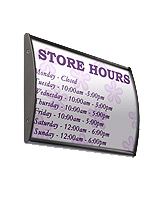 The convex shape gives messages a more interesting appearance that visitors will notice. These door signs may be affixed in either portrait or landscape orientation. Present the information in the appropriate format.